I grew up on orange pekoe as a staple in my life, so I have fairly high expectations since Supreme Pekoe is a lot more expensive than the Red Rose that I grew up on. 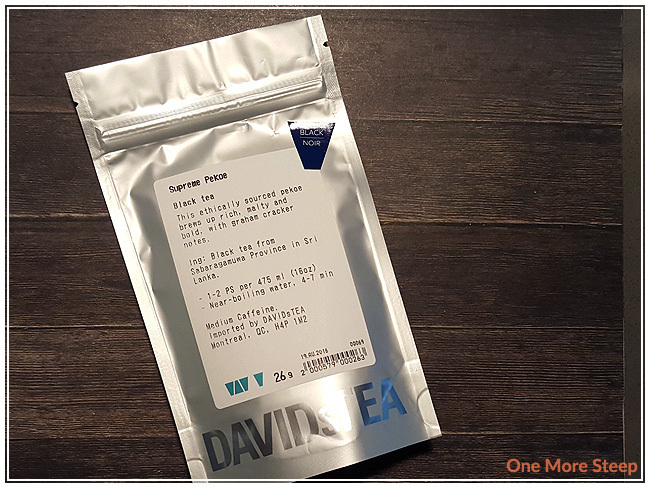 DavidsTea describes the tea as having ‘graham cracker notes’, which was intriguing enough to me to get some to try. The dry tea of Supreme Pekoe smells a bit like plums, but it doesn’t smell overly fruity to me. The dry leaf of the tea smells like Red Rose to me, which is a very familiar tea, but Red Rose doesn’t make me think of plums. The tea leaves smell smallish to what I’ve come to expect from DavidsTea’s teas. Supreme Pekoe is described as being an ethically sourced tea with black tea from the Sabaragamuwa Province in Sri Lanka. DavidsTea recommends steeping Supreme Pekoe in near-boiling water for 4-7 minutes. The product page on their website for Supreme Pekoe has the temperatures as 90-95°C (194-203°F). My first steep was for 4 minutes. Supreme Pekoe steeps to a golden orange colour. I would recommend steeping this tea with a fine mesh infuser or a filter bag because there was a bit of dust that wound up in the bottom of my Tea For One pot, thankfully this didn’t end up in the tea itself. The taste of Supreme Pekoe is a lot bolder than the orange pekoe of my childhood. It has a strong flavour, there’s a malty quality to it, and there’s more depth to the flavour with the addition of a wheat or grain quality to it. I would hazard a guess that this is what DavidsTea was talking about when they mentioned the graham crackers. It is interesting, for sure, and I quite like it. Supreme Pekoe does taste good on its own. The addition of sweetener (I used sugar) helps to brighten up the flavours, and does bring out more of that grain taste. My childhood tea was Hong Kong-style milk tea (orange pekoe with evaporated milk and some kind of sweetener), I couldn’t resist doing the same with Supreme Pekoe. 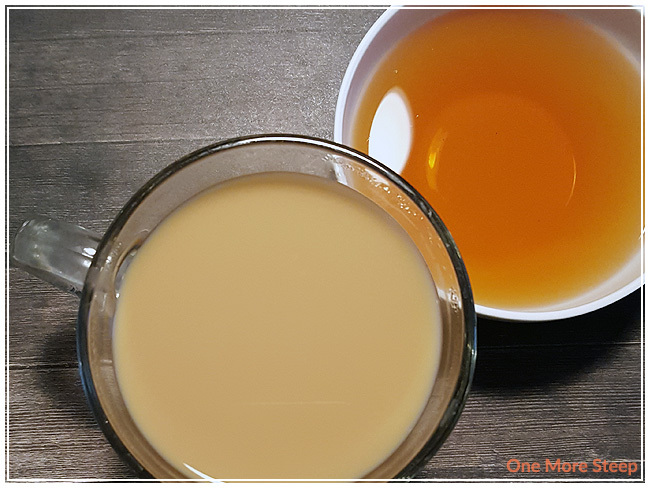 The tea itself holds up well with the addition of evaporated milk and sugar – the bolder tea base stands up and makes the milk tea more flavourful overall. 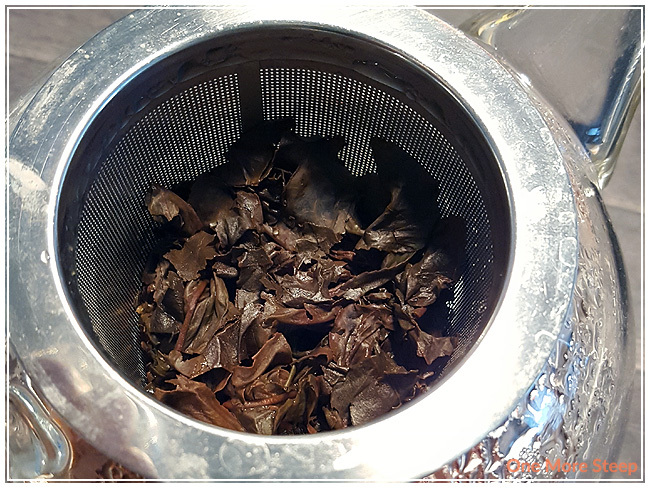 I did resteep Supreme Pekoe – it holds up well for a second steep! The leaves unfurl quite a bit, and were larger than I had expected from the appearance of the dry leaf. 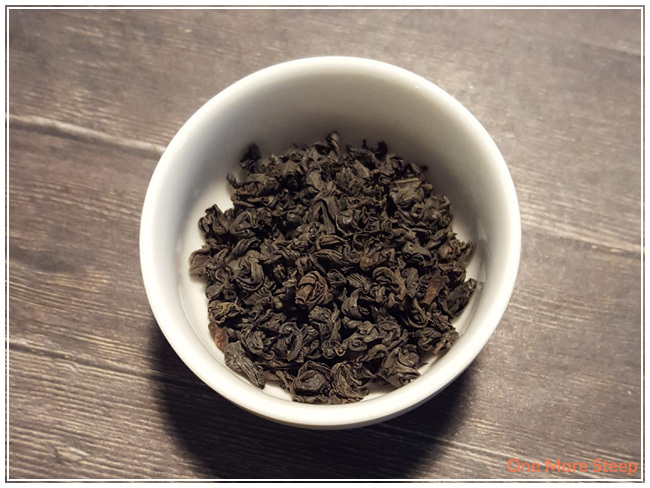 The flavour is still as bold as the first steep, which is definitely something that I was never successful with when it came to resteeping Red Rose’s orange pekoe. I loved DavidsTea’s Supreme Pekoe. 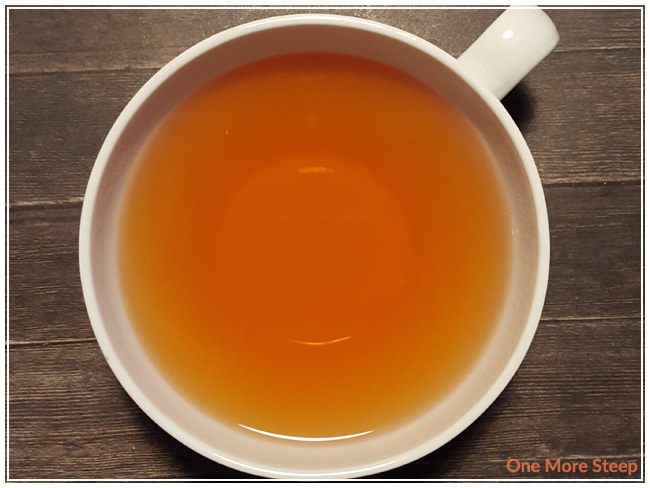 Orange pekoe has always held a special place in my heart, so I did unfairly have expectations for this tea to be good as well. I found it to be very enjoyable and it does very well on its own or with sweetener and milk. It works well as an any time tea, and if you’ve never tried Hong Kong-style milk tea before I would highly recommend it!